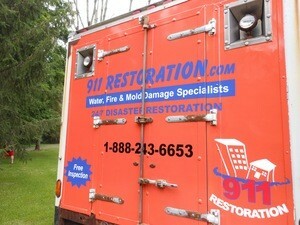 Water Damage Jersey City | 911 Restoration 862.801.3104. Adi and Michael, the founders of 911 Restoration of North New Jersey, have spent enough time from 2008 until now delivering people in need of water damage restoration a fresh start. To them, it is all about bringing people a second chance in the face of disaster. When it comes to home restoration you can trust in our licensed, bonded, and insured team to bring you peace of mind and a better tomorrow. Moreover, if you’re curious about the extent of water repair, if any, then you can trust in our free water-damage restoration estimate. The most frequently occurring home incident in the eastern United States are pipe bursts during the winter. This happens for two reasons. (1) During this time of year more homeowners leave for vacation, and do not shut off their water. Thus, all this water pressure builds up across the city as a whole. Then (2) as subzero temperatures set in, water begins to crystalize. 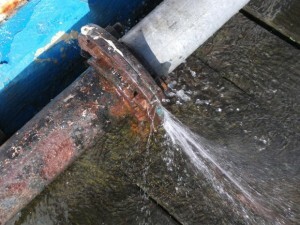 As this happens it adds to the pressure, and then a burst occurs. After the integrity of the pipe is ruined, a homeowner can experience gallons of water loss a second. This can turn any basement into an indoor swimming pool in less than an hour. Furthermore, if it were to occur upstairs or in between a wall space, then a cascading array of waterfalls indoors would happen. Thus, when it comes to avoiding costly repair, the water damage Jersey City team recommends that you keep pipes thawed out in the winter. In order to do this in the most cost effective fashion, homeowners need only to keep the ambient temperature in their home to above freezing. Some areas like basements tend to stay colder, so in those cases using a heat lamp or insulation on those pipes can be just as useful. Accidents happen all the time, no matter how well people prepare, so you can call us at 911 Restoration North New Jersey if one occurs. You can trust us when it comes to restoring all these types of damages, as we are IICRC certified to bring you peace of mind. We hold certificates from the Institute of Inspection, Cleaning, and Restoration. This means that we are capable of bringing order to any chaos you may be enduring. We are trained to classify and estimate any type of damage that may occur to a home. On top of that, we can restore material ranging from furniture, fabrics, wood, tile, carpet, and drywall. Anything your home is made out of can be soaked and stained after experiencing excessive moisture, so trust that we can get you through it all. The key to an effective and reliable restoration job is in response time, which is why we try to get there as fast as possible. Furthermore, this is also why we went through so much training. Knowing the difference between how wood and carpet react at to water saves the homeowner a fortune. Moreover, we also operate the most sophisticated equipment available on the market to ensure that water is safely removed, and that drying time occurs as quickly as possible. When homeowners return to their home, they will notice right away how serene everything is. We aim to do more than restore, as we try to make things better than they were before. 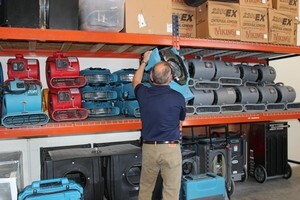 If you are in need of a speedy restoration, then call the water damage Jersey City team at 911 Restoration.